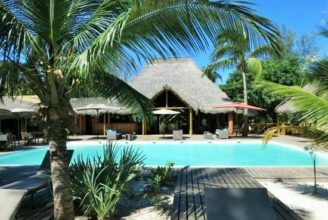 Your Madagascar Discovery Tour covers the best that Madagascar has to offer in a short space of time. Discover Madagascar’s iconic Western area where you will journey through stunning scenery and the diverse culture of the central highlands. 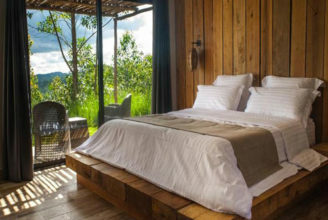 On this tour you will have an opportunity to discover different species of lemurs, national parks with unique wildlife, stunning landscapes, diverse cultures and fascinating history. 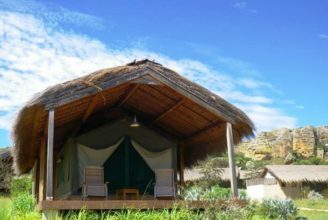 As you journey through this exotic island you will be meeting more than 12 Malagasy tribes and understanding the conservation in practice. You will have your own personal driver guide with a 4×4 vehicle, so you can experience Madagascar at your own pace. Today you will fly from Antananarivo to Morondava. Your flight time will be approximately 50 minutes. Upon arrival you will travel to Kirindy Reserve. The west of Madagascar is known for its dry climate and deciduous forests as well as natural wonders. Morondava was the centre of the once powerful Sakalava Kingdom and today is a thriving rice growing area. Today you will do a day walk and night walk at Kirindy. 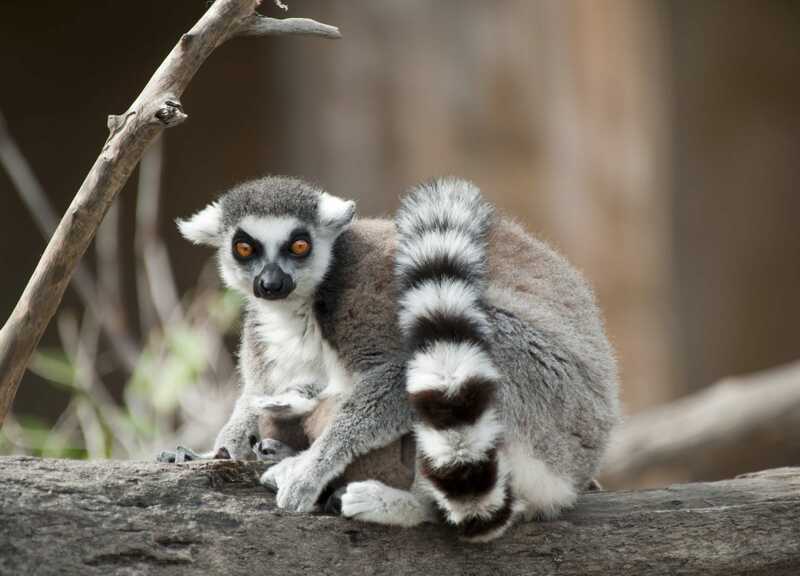 Kirindy comprises of one of the most outstanding and threatened wildlife habitats in Madagascar: the dry deciduous forest, whose extension has been reduced to 3 percent of their original extent. Dominated by majestic baobab trees and a forest canopy of 14 m altitude, this protected area of approximately 100 square kilometres is the only place where the world’s smallest known primate, the giant jumping rat, occurs. This animal can hop like a miniature kangaroo but is also seen walking on all four limbs. Today you will do a day walk at Kirindy. 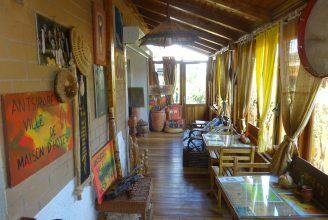 You will then travel to Bekopaka and en route you will try the best Malagasy food in Belo’s “Mad Zebu” Restaurant. Your total travel time to Bekopaka will be approximately 6-8 hours. After breakfast you will travel to Belo en route to Morondava’s “Alley of Baobabs or Avenue of the Baobabs’’. We will have lunch in Belo and continue our journey to the avenue of Baobabs. Travel time will be approximately 8 hours. We will stop to see the sunset at the Avenue of the Baobabs. After breakfast you will travel to Miandrivazo along the scenic rural countryside road. After lunch in Miandrivazo you will continue along the scenic route to Antsirabe. En route to Antsirabe you will be visiting the emerald green Lake Tritriva, one of two volcanic lakes with legendary tales. The water level drops in the rainy season and rises in the dry season. Debris from the lake can be found down in a valley below, supporting a theory of existing underground channels. Lake Tritriva is situated near the village of Betafo. It is a typical highland village with red houses with red tiled roofs. 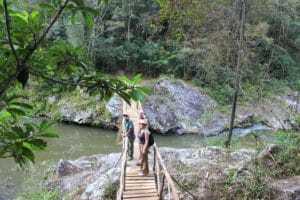 After breakfast you will travel by car to Ranomafana National Park. The travel time will be approximately 7-8 hours. 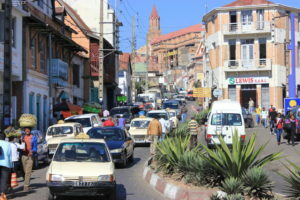 Antsirabe is the third largest city in Madagascar situated in the high altitude (about 1 500 m). The cool temperatures are in the high altitude the reason why the Norwegian Missionaries chose this city in 1872. Antsirabe is the home of one of the award winning beers in Madagascar THB (Three Horses Beer). 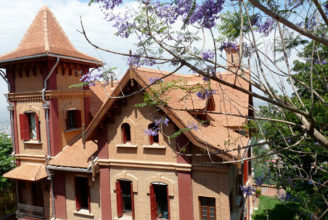 Its name means “where there is salt” honouring the large number of hot springs the town has, a fact that has given the city the nickname of “Malagasy Vichy”. The thermal baths had been long appreciated for their curative effects by the local population when French colonists decided to locate a thermal bath here in the 19th century. This compact city centre with its nice mixed architecture of different styles invite visitors for a walk. In the European district French cottage-style houses are built next to Scandinavian villas with English style gardens. The tree-lined avenues always give some freshness whenever the sun is too bright. You will enjoy an afternoon pousse-pousse rickshaw tour of the city. It is the best way to see this beautiful city. 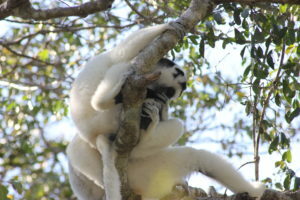 In the morning you will visit Kianjavato Forest Lemur Project is located close to Ranomafana rainforest. 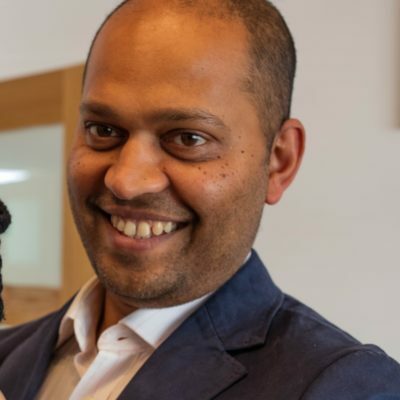 The Madagascar Biodiversity Partnership is a Malagasy NO founded and piloted by Dr. Edward Louis Jr., Director of the Conservation Genetics Department at OHDZA in Omaha, Nebraska. Together they work to protect and restore Madagascar’s remaining forests such as Kianjavato and the diverse wildlife. The surrounding forest fragments are home to nine lemur species, including the elusive and nocturnal Aye-aye, and two critically endangered lemur species, the Black and white ruffed lemur and the Greater bamboo lemur, both of which are listed among the 25 most endangered primates in the world due to habitat loss and hunting. 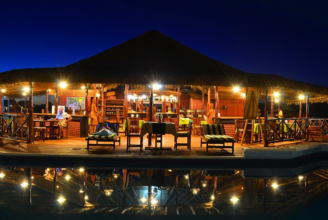 When it gets dark you will take a night walk back at Ranomafana with a guide to observe the nocturnal lemurs (active only during night time) and wildlife. 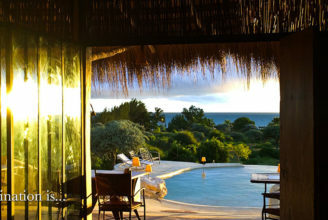 After breakfast you will travel to Ambalavao which will take approximately 2 ½ – 3 hours. 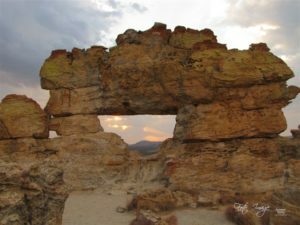 You will enjoy a short tour to explore this beautiful town. Ambalavao is a fascinating little town in the central highlands south of Fianarantsoa. 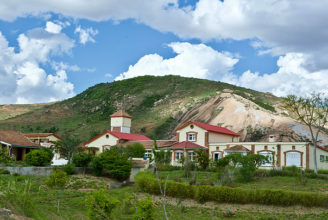 The town is known for its paper-making, silk making and wines. The striking feature of this town is the architecture because of the old town houses with wooden balconies. From the centre of the market you can get a good view of the town houses and the church. Ambalavao is famous for Antaimoro paper-making and you can visit the paper factory. You can interact with the workers and try your own decoration with inlayed flowers, leaves and petals. From simple decorative paper, it is turned into postcards, wall hangings, gift bags, lampshades and many more items. This town is the centre for Zebu (Malagasy horned cattle) trading for all the surrounding countryside. Many tribes bring their herds of cattle here to the weekly Zebu market (every Wednesday). 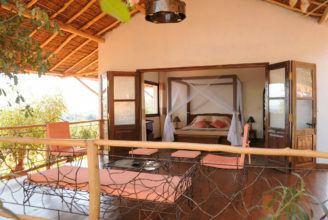 Betsileo Country Lodge is the ideal base for all your adventures in and around Ambalavao. 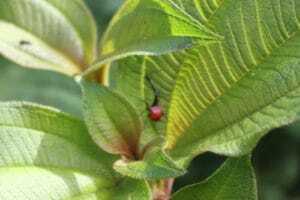 It was previously known as La Varangue Betsileo. 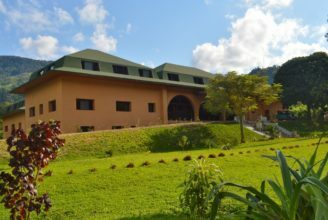 After the park visit you will continue your journey to Tulear via the Arboretum d’Antsokay.Situated 13 kilometres from Tulear along the Southwest coast is the impressive Arboretum d’Antsokay. Nature lovers will enjoy learning about the dry forest flora and fauna and it’s a great location for birdwatching. 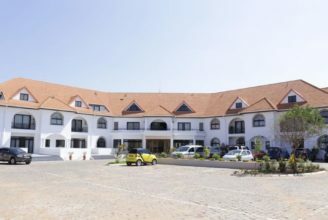 A unique hotel on the south west coast between the sea and the mountains. In the morning you will travel to Tulear Airport. Travel time approximately 45 minutes – 1 hour. You will fly to Antananarivo. Flight time will be one hour. You will be picked up from the airport and transferred to your hotel. 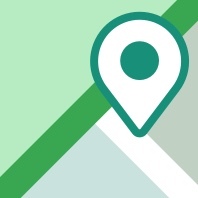 Approximate travel time to your hotel will be 45 minutes – 1 hour depending on the traffic. You will explore the city in the upper town (“La Haute ville”), where you can find Palaces (the Queen’s Palace, the ancient Prime Minister Rainilaiarivony Palace and the ancient Justice Palace), cathedrals and the residential area of (mostly) ancient noblemen families. From here, visitors enjoy a pleasant perspective of the city below far away from the bustling downtown. This is a great place to purchase souvenirs. Enjoy a short walk at Andasibe-Mantadia National Park where there are many circuits to choose from depending on your fitness level. 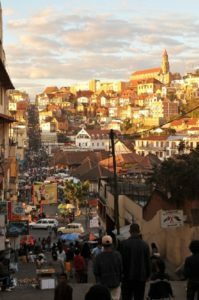 You will then travel to Antananarivo. As the roads winds through the hairpin bends and turns you have opportunities to observe the daily activities of remote villages along this road. You will be passing terrace rice fields and bustling road side stalls with all the tropical fruits. Today you will be transferred to the airport for your flight back home. The travel time from your hotel is approximately 10 minutes depending on the traffic.